Most organizations are not short of innovative ideas. What they do lack, however, is an environment that allows for the careful enrichment of the soil in order for these seeds of possibility to take root and grow. What builds this soil is conversation. But not all conversations are the same. The leader’s ‘art’ involves knowing which conversation they are taking part in – and which ones they need to be taking part in – in order to achieve the results they desire. 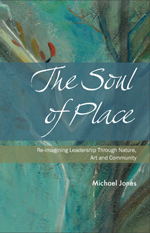 This entry was posted in Placebased Leadership and tagged communication, dialogue, fostering, growth, regenerative. Bookmark the permalink. ← A new leadership renaissance?